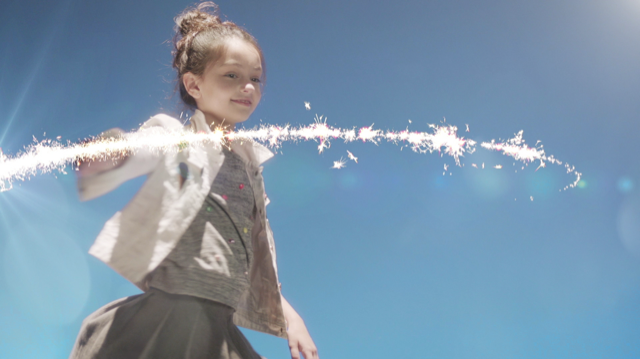 Black Spot and Universal Kids created a new winter wonderland anthem spot that is magical and very danceable. Black Spot and Universal Kids designed a dazzling world complete with a blue crystal forest, custom-designed costumes, atmospheric lighting, Ruth B.’s upbeat track “Young,” and adorable, energetic kids. The focus was on every detail – from casting and set design to art direction and lighting – to create this stunning footage. With Black Spot’s Senior Editor Ben Whitten and Vranizan Design at the wheel, the post-production team got to work, creating a full campaign that included anthem spots, network IDs, and bumpers, plus a full network toolkit. Based in Soho, Black Spot is a creative content agency. It offers award-winning ideation, strategy, and production to completion, editorial, design and in-studio services. Black Spot’s talented Creative Directors, Producers, Writers, Editors and Designers have won the gamut of accolades on behalf of clients such as NBC-Universal, USA Network, Syfy, Bravo, Nickelodeon, Comedy Central, BET, Spike, Food Network, PBS, IFC, Sundance and TBS.